Love my necklace - especially the colors. Nice and light, not heavy around the neck. I have purchase many Tagua necklases with a matte finish. This necklace had a very shiny finish making the piece look like plastic. I did return it. 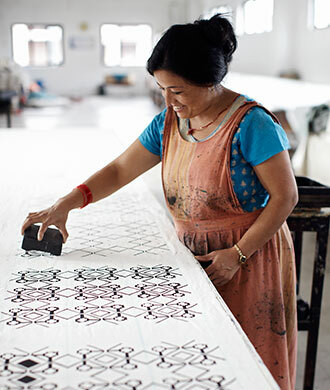 Just as pictured with beautiful workmanship. Thank you for sharing your talents. Like the necklace very much, however the shells are darker than I had hoped. The blue "Tranquility" necklace is a well-made, glossy finished tagua nut creation. 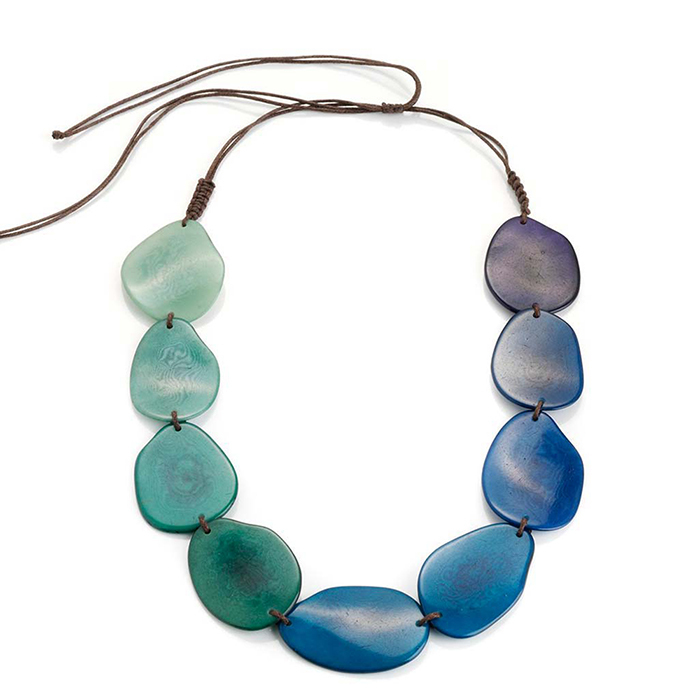 Unlike other tagua nut necklaces, Tranquility is well balanced with subtle color gradations. Individual sections are thin but sturdy which eliminates the clunkiness factor of many other tagua jewelry pieces. 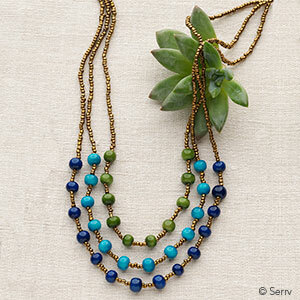 The necklace is a fun accessory perfect for relaxed summer wardrobe. The necklace is o.k. The colors are nicely done but mine isn't as variegated as the catalog picture. It is mostly the darker colors . As I said, not much variation. It is lightweight and comfortable to wear. I bought this necklace for myself on Mothers Day. Husband doesn't like to pick something I might or might not like. I have worn it everyday since I got It and somehow it does give me a sense of tranquility. 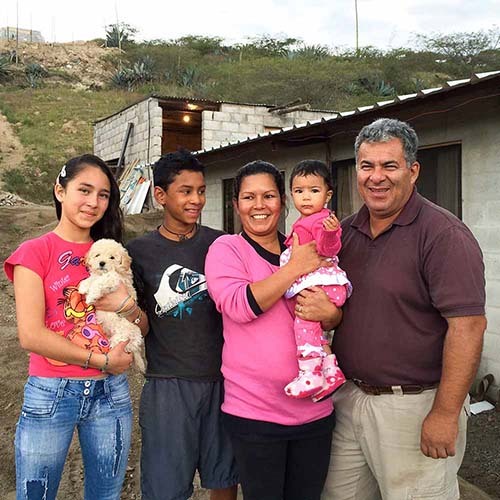 I bought Compassion for my daughter whose own compassion trails behind her like a happy cloud. 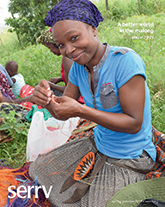 The Fair Trade and ecologically sustainable makes a great gift. It is a beautiful necklace as well. I received this necklace as a gift. It is beautiful! Hangs nicely, looks pretty with different tops, makes me feel more tranquil wearing it! I've admired this necklace for several years in your catalog. The spectrum of blues were beautiful. 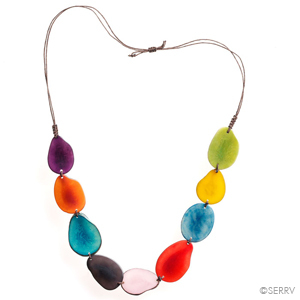 Unfortunately, I was very disappointed when I received the necklace because, in person, the colors were not vibrant as depicted in the catalog. While I did not expect the exact colors, they weren't even close. Owner Response: Hi Renee, we are very sorry that you are disappointed with your purchase - the colors should have been more similar. Customer Care will be directly in touch with you to resolve your concerns. We want you to be happy with your purchase! My friend loved it and loved that it came from Serrv. I am very pleased with the colors of this blue/turquoise/green necklace. Will be wearing it often!